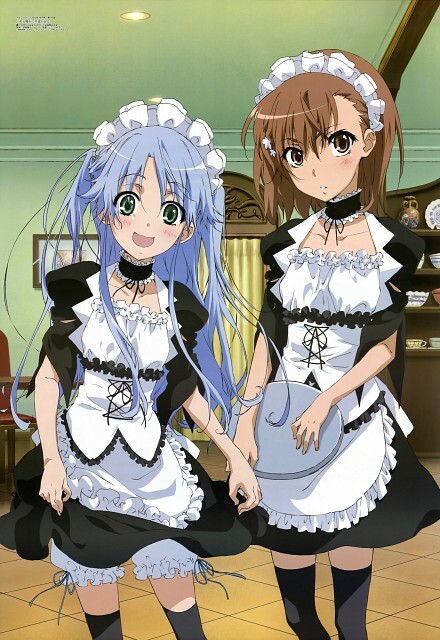 Cute maid attire^^! Thanx 4 sharing! I like this new Index Looks, soo wild! jojojo grasias por la foto X3 Misaka ! Quote by PPV10Cute maid attire^^! Thanx 4 sharing! I think this attire look similar to the Kaichou wa Maid-sama anime, don't you guys agree? this. Did Index have had a tough day? LOL. Anyways, found a maid-loli Index, thanks! This is Kaicho wa maid sama! cosplaying just look at the clothes, the studio is the same and isn't not the first time with their crossovers. Misaka very kawawii thanks for very kawawii scan. I love misaka,thanks for sharing.